The fact, that molten sand turns into a ropy substance that, when cooled down, graduates into a completely different state, was first discovered by attentive Egyptians some five thousand years ago. Modern scientists during various excavations find old frescos depicting craftsmen skillfully blowing glass bubbles through a pipe. As to material proofs, separate elements testify to the existence of such production in ancient times of pharaohs: shatters of jars, vases, statuettes and even bijouterie. Small green bead that allegedly served as an adornment for a noble Egyptian was found near Thebes – ancient city situated on the east side of Nile – and then sent to Berlin museum for exhibition. From the country of the pyramids glass blowing craft started its progress through all the continents developing and improving sweepingly to reach the peak of perfection in Europe where maestros keep creating true masterpieces till now. In Italy traditions are treated with special reverence. 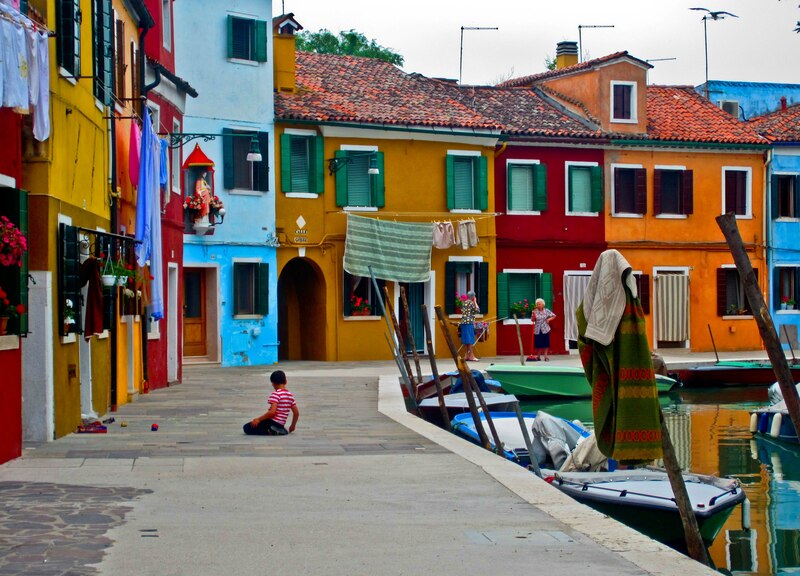 First glass plants were launched in the city on water – in Venice. Having won popularity among citizens thank to their craft, local “skillful hands” became celebrities of the place. Not only native Italians but also many visitants longed to make it to their flock. Workshops where items for European noblemen were created are still in operation in the area. Among Italian seigniors an adornment or a set of glasses made of Murano Glass is considered a symbol of an excellent taste and good investment. Today old stuff like ordinary earrings or kitchen utensils became true museum pieces. And although the way to the isle and back is open for every willing one, glass makers prefer not to unveil all the secrets of production technology. Sure enough, a couple of schools operate here where basics of the profession are being taught but still only locals are accepted as students. The exception was probably made for Ritsue Mishima, originally Japanese but a citizen of Italy. Former stylist became one of the few ladies who distinguished herself in this male craft. It all started commonly and in a “feminine” way: Ritsue couldn’t pick a vase that would suit her house. As the saying goes, if you want a thing well done, do it yourself. 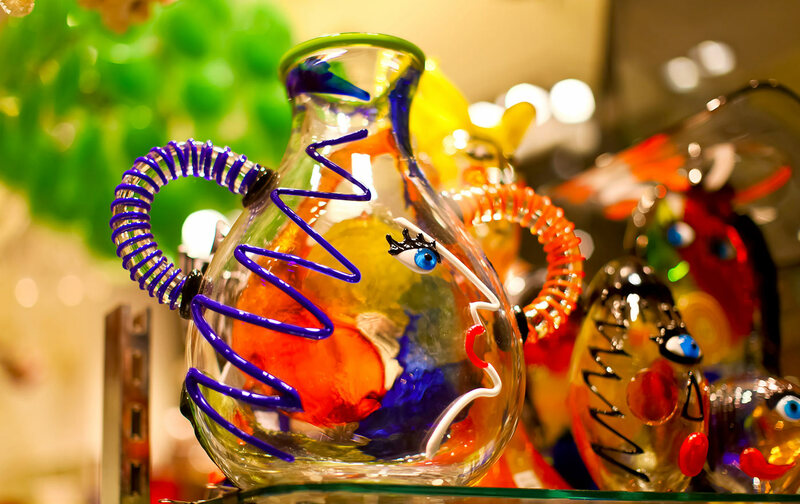 And that’s the idea which she followed and started cooperating with Murano artisans. 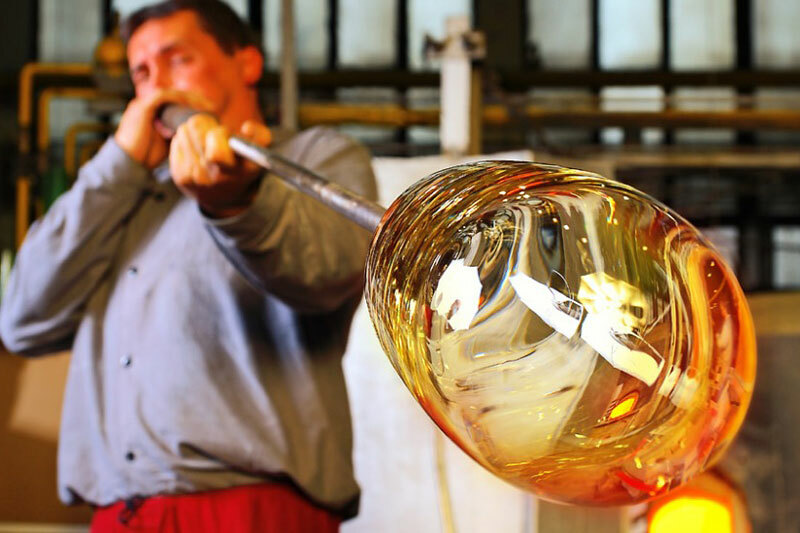 Craftsmen in Czech Republic keep working as diligently; there a glass item was recently created to get the honor of being added to Guinness World Records. It was a giant bottle of whiskey almost two-meter high that easily holds 228 liters of the drink. The majority of Czech handyman is “concentrated” in a town of Nový Bor situated in the North of the country nearby German border. Among population of a little more than ten thousand persons, one third is glass blowers. Strewn wooden shapes and spiraling-up smoke are common place here. In many yards behind picturesque trees and flowers domestic mini-factories are hidden. As a rule, glassmaker’s business hours start at dawn and last till 2 to 3 p.m. Modern technologies in combination with centuries-old secrets rise demand for local craftsmen’s masterpieces, who, unlike Murano ones, willingly invite tourists to watch metamorphoses that occur to simple sand. Those, who become especially swept with the performance, can enroll for a special course and master the art by themselves. 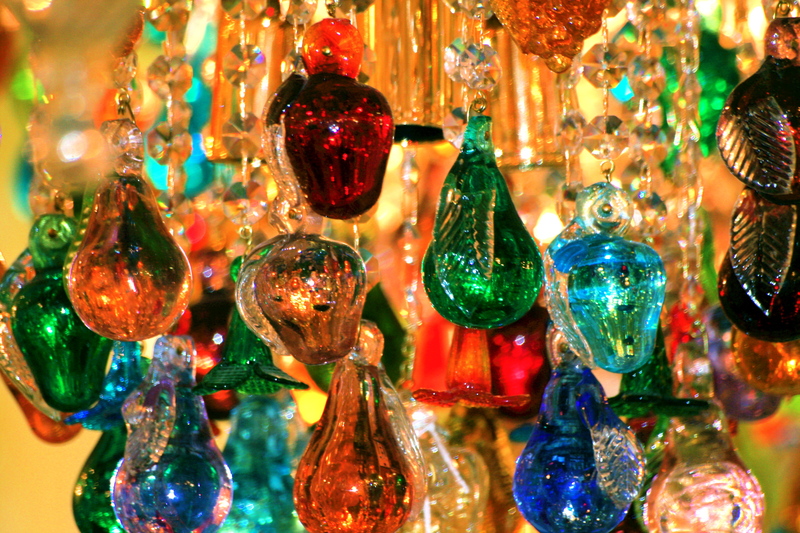 Speaking of glass blowing in European countries, it is worth mentioning German traditions that take shape of Christmas tree decorations production to a greater extent. First “blowing” factory emerged in Germany in 1848. In that time due to poor apple harvest aesthetic side of the holiday became endangered. Craftsmen who decided to create glass analogues of fruit came to the rescue. 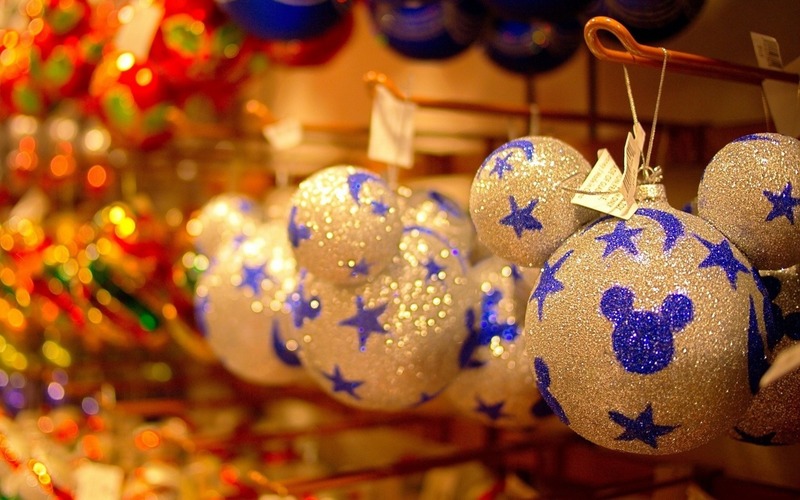 The experience turned out a success and German Christmas trees got ornamented with first Christmas spheres. Dirty cars are like a host for an artist. One may treat such art differently. Someone will wrinkle his nose and disdainfully wrestle his clothes. Others necessarily want to put a finger in such a picture in order to check the fragility of the "canvas" and smear its outlines. However, others will definitely make a selfie. However, nobody can pass by.